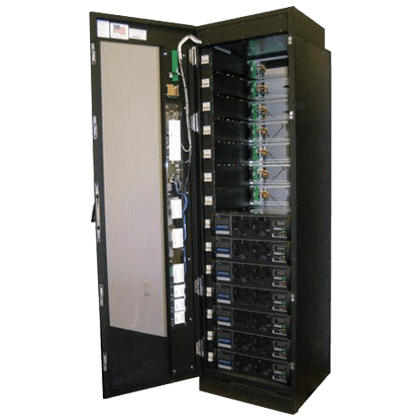 Universal Electric has created the new division to provide a complete, turn-key system for safe and reliable use of 380 VDC in data center applications. DC Solutions have been documented to be as much as 1000% more reliable than AC systems, they have an overall lower capital expense and lower operating expenses. 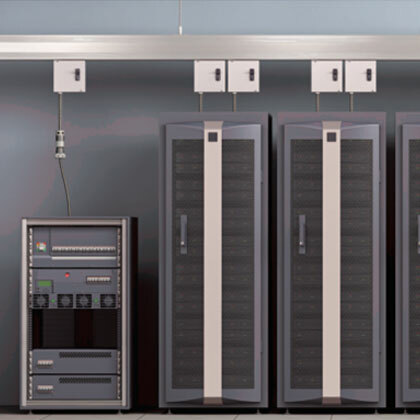 When utilizing StarLine’s 380v DC solution the data center can also provide its own alternate on-site power source from solar panels, fuel cells or wind turbines. Cyberwave ISS, the world’s first digitally controlled Inverter/Static Switch System for custom applications, combines Cyberex’s hallmark rugged electrical design with the required reliability for industrial applications. 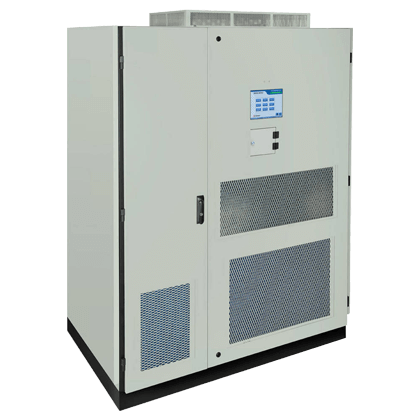 The Cyberex utilizes either a 120 or 240vdc input and produces as 120 or 240vac single phase inverter output to handle the needs of industry. Benning provides a wide array of products for servicing commercial and industrial DC power needs up to 12,000amps at 48vdc or 3-phase inverter systems up to 120kVa with 48vdc inputs. Another line of Benning products available are their industrial PowerHouse battery chargers that provide charging from 24-80vdc.